The legislation principally applicable to the insolvency of companies incorporated in England and Wales is the Insolvency Act 1986 (the Insolvency Act) as amended. The Insolvency Act is supplemented by subordinate legislation, the most important of which are the Insolvency (England and Wales) Rules 2016 (the Insolvency Rules). The Company Directors Disqualification Act 1986 deals with the position of directors of insolvent companies. In relation to reorganisations, the Companies Act 2006 is relevant, setting out the provisions concerning schemes of arrangement. Generally, registered companies incorporated in England and Wales and companies formed outside England and Wales with their centre of main interests (COMI) in England and Wales can be subject to all forms of insolvency proceedings. Certain insolvency procedures are also available to foreign companies that have a sufficient connection (but not their COMI) in the UK. Within the Insolvency Act there are separate provisions regarding the winding up of unregistered companies also applying to unregistered associations, friendly societies and foreign companies (provided they have sufficient connection with the jurisdiction). The insolvency of partnerships (other than limited liability partnerships) is dealt with by the Insolvent Partnerships Order 1994 (as amended). Limited liability partnerships are subject to the Insolvency Act and related subordinate legislation subject to exceptions. In addition, there are special insolvency proceedings in respect of companies belonging to certain key industries. The aim of the special regimes is to ensure the continuity of service and the orderly wind down and hand over of service provision where the services form an essential part of the country’s infrastructure or are systemically important. Legislation also exists designed to protect the financial markets from the insolvency of a market participant. This is a highly complex and deeply regulated area. Key legislation governing the issue is article VII of the Companies Act 1989 and Part XXIV of the Financial Services and Markets Act 2000 (as amended). Regulated entities, such as financial institutions, are supervised and regulated by two regulatory bodies, the Prudential Regulation Authority and the Financial Conduct Authority (FCA), which are each given specific powers to apply for and participate in the application for the insolvency of a regulated entity. Further, there are certain legislative measures taken at the European Union level (which are transposed into English law) regulating in which country within the European Union an insurance company or credit institution ought to be wound up. These are the Insurers (Reorganisation and Winding up) Regulations 2004 (implementing Council Directive 2001/17 EC on the reorganisation and winding up of insurance undertakings) and the Credit Institutions (Reorganisation and Winding Up) Regulations 2004 (implementing Council Directive 2001/24 EC on the reorganisation and winding up of credit institutions). All property in which the company has a beneficial interest will fall within the insolvent estate and be available for the benefit of creditors. Assets subject to a fixed charge, supplied under hire purchase agreements, subject to retention of title claims or which the company holds on trust for a third party are not beneficially owned by the company and therefore do not fall within the insolvent estate. There are no specific rules for government-owned enterprises and the normal rules on insolvency applicable to the type of company involved apply. There are special insolvency proceedings regarding companies belonging to key industries and these special insolvency proceedings will often provide for the government or a particular department or agency to be involved in the process. Creditor remedies are also as provided in the respective insolvency proceeding. Yes. The Banking Act 2009 (the Banking Act), governs the rescue or wind down of banks and other financial institutions. The Banking Act establishes a permanent special resolution regime providing HM Treasury, the Bank of England and the appropriate regulator with tools to deal with banks that get into financial difficulties. transfer to temporary public sector ownership. In addition, there are two insolvency options (see below). A Code of Practice is in force giving guidance on the use of the special resolution tools. The two insolvency options are bank insolvency and bank administration. The aim of bank insolvency is to provide for the orderly winding up of a failed bank or financial institution. The provisions are based on existing liquidation provisions. The aim of bank administration is to deal with the residual part of a bank or financial institution where there has been a partial transfer of business to a private-sector purchaser or bridge bank pursuant to the special resolution provisions. A bank administrator may be appointed by the court to administer the affairs of the residual part of the insolvent bank. The Banking Act excludes investment banks from the bank insolvency and administration procedures where the investment bank is not an authorised deposit-taking institution. This situation is governed by the Investment Bank Special Administration Regulations 2011 (SI 2011/245) (the Regulations). Where the investment bank is also a deposit-taking bank with eligible depositors, the Regulations allow the bank to be put into special administration (bank insolvency) or special administration (bank administration). The High Court can wind up any company incorporated in England and Wales (and in some cases, foreign companies - see question 2). Any criminal matters must be dealt with by the relevant criminal court. Appeals in insolvency proceedings follow the ordinary course for appeals in England and Wales. Appeals of decisions made by a High Court judge will lie to the Civil Division of the Court of Appeal. A decision of the Court of Appeal can be appealed to the Supreme Court, the highest court in the UK. There is no general obligation to post security to proceed with an appeal unless a party specifically applies for the court to order security for costs. There are two different procedures for the voluntary liquidation of a company: members’ voluntary liquidation (a solvent liquidation) and creditors’ voluntary liquidation (typically, but not necessarily, an insolvent liquidation). If the directors are able to swear a statutory declaration that the company is solvent, a company can be placed into MVL. The MVL is commenced once the shareholders pass a special resolution (75 per cent majority) to place the company into liquidation. The shareholders choose the identity of the liquidator and he or she is appointed by ordinary resolution (50+ per cent). If the liquidator subsequently determines that the company is, in fact, insolvent, then the MVL should be converted into a creditors’ voluntary liquidation. If the company is insolvent, or the directors are unable to swear a statutory declaration as to solvency, a company can be placed into a CVL. Like an MVL, the process is started by the shareholders passing a special resolution (75 per cent) resolving to place the company into liquidation. The shareholders will also appoint a liquidator, but until the creditors decide on a liquidator, the powers of the shareholder-appointed liquidator are limited. The directors must seek a decision from the creditors within 14 days. If the creditors’ choice of liquidator differs from the that of the shareholders, the creditors’ choice will prevail. On the liquidator’s appointment, the directors’ powers will cease. There is no automatic moratorium on proceedings against the company in a voluntary liquidation. The liquidator or any creditor or shareholder may, however, apply to the court for a stay on any proceedings. There are three main processes set out by legislation that a debtor can use to commence a voluntary reorganisation. These are: company voluntary arrangements; schemes of arrangement; and, to a lesser degree, administrations. The process for a CVA is set out in Part 1 of the Insolvency Act. A CVA is an agreement between a company, its shareholders and its (unsecured) creditors where the directors (or a liquidator or administrator) propose a reorganisation plan, which usually involves delayed or reduced debt payments or a capital restructuring. The CVA commences with the directors of the company making a written proposal to an insolvency practitioner (called the nominee) who files a report with the court on whether to call meetings of the shareholders and seek a decision by the creditors. While the nominee’s report is filed at court, there is no court hearing or judicial examination on the matter. If the nominee recommends that the creditors and members should consider the proposal, a meeting of the company’s shareholders is called and creditors are asked to approve the proposal by way of a decision procedure (various types of decision procedures are available, such as virtual meeting, electronic voting or correspondence). Shareholders must approve the proposal by 50+ per cent (in value). Creditors must approve by 75 per cent (in value) of those who respond to the decision procedure. In addition, a resolution will be invalid if more than half of the total value of ‘unconnected’ creditors vote against it. The definition of ‘connected’ is set out in the Insolvency Act and is very broad, most importantly including the company’s shareholders. Where the requisite approvals have been obtained, the CVA will bind every creditor who was entitled to vote in the decision procedure except for preferential and secured creditors, who are not bound by the CVA unless they agree to be. Where the meeting of shareholders and the creditors’ decision produce conflicting conclusions, the creditors’ decision prevails. However, in this case, a shareholder can within 28 days apply to the court for an order reversing or modifying the creditors’ decision. Creditors may also apply to court to challenge the CVA within 28 days of the approval being reported to court if they think that they have been unfairly prejudiced or there has been a material irregularity in the conduct of the decision process. Once the CVA has been approved, the nominee becomes the supervisor and is tasked with ensuring that the terms of the CVA are implemented. During the CVA process, there is usually no statutory moratorium. However, a ‘small company’ (defined by reference to its turnover, balance sheet and number of employees) wishing to propose a CVA can benefit from an initial 28-day moratorium. CVAs are often used in the context of implementing an operational restructuring of a business (as opposed to a financial restructuring) - not least because of the inability to bind secured creditors in this process. It is possible to combine a CVA with a scheme (see below) or an administration, or both (see below). Schemes are governed by the Companies Act 2006. A scheme provides a mechanism enabling a company to enter into a compromise or arrangement with its creditors (including secured creditors). The process is commenced by a court application (ordinarily by the company, but this could also be made by any creditor, a liquidator or administrator) for an order that a creditors’ meeting be summoned. The scheme is approved if 75 per cent in value and the majority in number of each class of creditors present and voting votes in favour. A second court application is then required at which the court is asked to sanction the scheme. Once sanctioned and delivered to the Registrar of Companies, the scheme will be binding on all the company’s creditors who are affected by the scheme (regardless of whether they voted in favour, against or abstained). A company is able implement a scheme if it is capable of being wound up in England and Wales. Case law has clarified that a company could be wound up in England and Wales if it could be said to have ‘sufficient connection’ with England and Wales. The question as to what constitutes ‘sufficient connection’ is a factual one but recent case law has continually reduced the threshold. A foreign company with either its COMI or an establishment in England has sufficient connection with England. 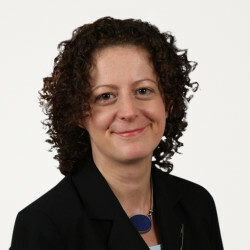 Equally, there are a number of cases where sufficient connection was demonstrated because the facility documents were governed by English law and contained a clause granting (exclusive and non-exclusive) jurisdiction in favour of the English courts. The English courts have taken an expansive view of sufficient connection (even where this is established late and for the purpose of the scheme). Companies will need to take care, however, to ensure that an English law scheme is capable of being enforced in the jurisdiction in which the company’s assets are situated. An English law decision is of limited value if creditors are still able to take unilateral action to recover their ‘schemed’ debts in overseas jurisdictions. Generally, the English courts will require expert evidence that the scheme would be capable of being enforced in relevant jurisdictions. During the scheme process there is no statutory moratorium - however, see question 21 for further detail. Schemes have been used to effect a ‘balance sheet restructuring’ and are sometimes combined with an administration (in particularly where there is a need for a moratorium) or a CVA that can deal with the operational elements of a restructuring. Administration is an insolvency procedure that allows a (normally insolvent) company to continue to trade with protection from its creditors by way of a moratorium. This may give the company sufficient breathing space to be reorganised and refinanced. While a company is in administration it is controlled by an administrator, who will be a licensed insolvency practitioner, and to all effects and purposes, the directors’ powers will cease (although they will remain in office). There is both a court-based procedure (via an administration application) and an out-of-court route (for use by a holder of a qualifying floating charge or by the company or its directors) to place a company in administration. The objectives of an administration are to be achieved via a waterfall effect. The primary objective is to rescue the company as a going concern and only if the administrator thinks that this objective is not reasonably practicable, or that a better result will be achieved for the company’s creditors by some other means, can he or she consider the second or third objectives; achieving a better result for the company’s creditors as a whole than would be likely if the company were wound up; or realising property to make a distribution to one or more secured or preferential creditors. An administration may last one year only (unless it is renewed with the consent of the creditors for one year, once, or with the consent of the court for an unlimited period of time). The administrator can collect in and distribute the company’s assets. There are no mandatory features in an informal reorganisation; it is a matter for agreement between the creditors. In a scheme (see question 7), there are also no mandatory features of the reorganisation plan. However, the scheme will need to be better than its alternative (most commonly an insolvency filing but a solvent comparator is also possible). An explanatory statement must explain the effect of the compromise or arrangement and state any material interest of the directors and the effect of that interest of the compromise or arrangement. Other information that will be relevant to a creditor when deciding how to vote should also be included. The process is commenced by a court application for an order that a meeting of creditors be summoned. There are separate creditors’ meetings for each class of creditors. It is the responsibility of the party proposing the scheme to determine the correct classes. If incorrect class meetings are held, then the court will have no jurisdiction to sanction the scheme. The classic test for determining the constitution of classes is that a class should comprise ‘those persons whose rights are not so dissimilar as to make it impossible for them to consult together with a view to their common interest’. The test for who forms a class is determined in accordance with the creditors’ rights under the scheme, as opposed to broader collateral interests. Whether a group of creditors form a single class depends on the analysis of: the rights that are to be released or varied under the scheme; and any rights that the scheme gives, by way of compromise or arrangement, to those whose rights are to be released or varied. In many cases it is not possible to be certain that a particular type of claim constitutes a class of creditors. However, in certain cases the distinction is relatively clear-cut; for example, secured creditors and unsecured creditors will almost certainly constitute separate classes. When an insolvent company proposes a scheme, the court will look at the ‘insolvency comparator’, that is, the rights that the creditors would have against the company in an insolvent liquidation. The rights of creditors under a scheme can differ from the rights a creditor would have if the company went into insolvent liquidation; indeed, the purpose of many schemes is to produce an arrangement that differs from an insolvent liquidation. However, depending on the differences, this may have an impact on the analysis of which creditors form a separate class for the purposes of the scheme meeting and whether the scheme is fair and should be sanctioned. If the differences apply equally to all creditors, no question of separate classes arises. If the differences produce a result that affects one group of creditors differently from another then, subject to questions of materiality, they should form separate classes. For any proposed compromise or arrangement put forward under a scheme to become binding on the creditors, it must be approved by 75 per cent in value and the majority in number of each class of creditors present and voting, and then sanctioned by the court. The scheme will not be sanctioned unless it is fair - that is, a scheme that an intelligent and honest person, a member of the class concerned, and acting in respect of his or her interest might reasonably approve. A scheme of arrangement can release non-debtor parties. The extent to which a scheme is capable of affecting third-party obligations depends on the extent to which those obligations can be treated as closely connected or ancillary to the company’s own obligations and whether those obligations are personal only and not proprietary. The court has confirmed that, in the case of an English scheme of arrangement, guarantors that are themselves not bound by the scheme of arrangement can have their guarantees released under the terms of the scheme. In a CVA there are also no mandatory features (although the legislation sets out the matters that need to be dealt with in the proposal). The CVA proposal must lead to a better outcome for creditors than its alternative (most commonly an administration or liquidation). There are no separate classes of creditors in a CVA, although secured and preferential creditors cannot be compromised without their consent. The process for implementing a CVA is set out in question 7. No court sanction is required. A creditor or shareholder can bring a challenge to the CVA in court (see question 12). In the case of involuntary liquidation (otherwise known as compulsory liquidation or winding up by the court) the creditor must apply to the court for a winding-up order. The most likely ground for a winding-up order is that the company is unable to pay its debts. If the court makes a winding-up order, the winding up is deemed to commence at the time of the presentation of the winding-up petition rather than at the date of the order (unless the winding-up order is made following an application for administration that the court determines to treat as a winding-up petition, in which case the winding up is deemed to commence on the making of the order). once the winding-up order has been made, no action may be started or proceeded with against the company without the court’s permission. In addition, the business of the company ceases except to the extent necessary for it to be wound up. A secured creditor holding a qualifying floating charge can, in limited circumstances (eg, if there is a capital markets arrangement) appoint an administrative receiver. An administrative receiver realises the secured debt for the benefit of the debenture holder who appoints the administrative receiver. Although this is unusual, it is possible for a creditor to propose a scheme (but not a CVA). As a practical matter, a creditor is unlikely to have sufficient information to propose a satisfactory restructuring of the company’s affairs. There are no material differences to a scheme proposed by the company, see question 7. A creditor may apply for the company to be put into administration and subsequently the administrator may propose either a CVA or a scheme. Once an administration is under way (or the administrator proposes a scheme or CVA), there are no material differences to proceedings opened voluntarily. There are no express provisions for the expedition of CVAs or schemes, and the implementation time will depend on the complexity, although the majority of the time spent on a reorganisation is in negotiation with the creditors and in preparation of the settlement documentation. In relation to schemes, the court has been willing to hear applications on an expedited basis and also to convene meetings following comparatively short notice periods where there is an urgent requirement to do so. If a reorganisation is implemented through an administration process, this can be done on a quick timescale using the ‘pre-pack administration’ tool (see question 24). A dissenting creditor can defeat a reorganisation that takes place outside of a formal process by refusing to take part or, where appropriate, by applying for the company’s liquidation (although the court has to exercise its discretion when making a winding-up order). The consequences of a breach by the debtor of any contractual agreement in a reorganisation plan will depend on the terms of the plan but will usually result in the creditor having all its previous rights restored. A proposed CVA or scheme can be defeated if it does not get the statutory majorities of creditors voting in its favour. Assuming that the requisite majorities vote in favour, a scheme will be defeated if the court refuses to sanction it either because it does not have the jurisdiction to sanction it, for example because the classes are incorrectly constituted, or because it is unfair. A CVA will be defeated if a creditor, shareholder or contributory brings a successful challenge on the grounds of unfair prejudice or material irregularity. A CVA may also be defeated if there is a mismatch between the decisions taken at the shareholders’ meeting and the creditors’ decision procedure, and a shareholder successfully applies to court to challenge the decision taken by the creditors. If a scheme or a CVA is defeated, then unless new restructuring proposals can be agreed with the requisite majorities of creditors, it is likely that the company will be placed in administration or liquidation. If there is default by the debtor in performing an approved plan in a scheme, the consequences will usually be set out in the scheme. Where there is a material default by the debtor in performing the terms of the CVA, the supervisor of the CVA is likely to issue a certificate of non-compliance setting out the manner in which the company has defaulted and the steps that the supervisor proposes to take. These steps will normally be set out in the CVA. In addition to a members’ voluntary liquidation, which is an Insolvency Act procedure for solvent companies described in question 6, a company may be dissolved under sections 1000 and 1003 of the Companies Act 2006, without the need for a formal liquidation procedure if it is dormant. Companies that have been dissolved under these sections, as well as companies that have been dissolved following liquidation, may be restored to the Register of Companies on a court application by an interested party within six years of the date of dissolution. A court application may be made at any time for the purpose of bringing proceedings against the company for damages for personal injury. The court will make an order for restoration if at the time of the dissolution the company was carrying on business or in operation, if (in the case of a voluntary striking off) the company did not comply with the procedural requirements for dissolution or, in other cases, if the court considers it just to do so. A common ground to restore a company is where an asset has become available to the company (eg, a tax refund) that can only be claimed by the company and therefore it will need to be restored. In the case of a voluntary liquidation, once the company’s affairs are fully wound up the liquidator must send final accounts showing how the liquidation has been conducted to creditors. After the account has been laid, the liquidator will send a copy of the account to the Registrar of Companies. The company is then deemed to be dissolved at the expiry of three months. In the case of a compulsory liquidation, if the liquidator is not the official receiver, once the liquidation is complete, the liquidator must prepare a final account and send this to the company’s creditors. The liquidator then sends a copy of the final account to the court and the Registrar of Companies. The company is deemed to be dissolved three months after the Registrar of Companies registers this notice. If the liquidator is the official receiver, the liquidation will end three months after the official receiver notifies the Registrar of Companies that the liquidation is complete. Alternatively, if the company has insufficient assets to cover the costs of the liquidation and it appears to the official receiver that the affairs of the company do not require any further investigation, the official receiver may apply to the Registrar of Companies for early dissolution of the company. There are various exit routes from administration. If the objective of the administration is achieved, the administration must be terminated. However, an administration can also be converted into a creditors’ voluntary liquidation (see question 6) or the company could be dissolved. CVAs, schemes and informal reconstructions, if successful, will end in accordance with their terms. if it is proved to the satisfaction of the court that the value of the company’s assets are less than the amount of its liabilities, taking into account contingent and prospective liabilities (commonly known as the ‘balance sheet test’). The Supreme Court held in BNY Corporate Trustee Services Ltd v Eurosail UK 2007-3BL plc  UKSC 28 that the court is required to make an assessment of the company’s assets and liabilities and to decide whether, on the balance of probabilities (making proper allowance for contingent and prospective liabilities), the company cannot reasonably be expected to meet those liabilities. No. There is no express duty to commence insolvency proceedings at any particular time on the grounds of either cash flow or balance sheet insolvency, although directors may commence proceedings to try to minimise the risk of personal liability for wrongful trading. Under section 214 of the Insolvency Act, a liquidator or an administrator can bring an action against directors, former directors and ‘shadow directors’ for wrongful trading. A director may be held liable where he or she continues to trade after a time when he or she knew, or ought to have concluded, that there was no reasonable prospect of the company avoiding insolvent liquidation or administration. To avoid liability, once there is no reasonable prospect that a company can avoid going into insolvent liquidation or administration, directors must take every step to minimise potential loss to creditors. This may involve filing for an insolvency procedure. A consequence of carrying on business when insolvent can be that the court finds a director guilty of wrongful trading under section 214 (see question 16) where the other requirements for that offence are met. The court may declare that person liable to make such contribution to the company’s assets as the court thinks proper, the amount being compensatory rather than penal. A further consequence of carrying on business when insolvent can be that the court finds a director guilty of fraudulent trading under section 213 of the Insolvency Act. Where it appears that any business of the company has been carried on with intent to defraud creditors or for any fraudulent purpose, the court may declare that any persons who were knowingly parties to the carrying on of business in that manner are liable to contribute to the company’s assets. This section goes beyond directors and officers and applies to anyone who has been involved in carrying on the business of the company in a fraudulent manner. Actual dishonesty must be proved. Both a liquidator and an administrator can bring this action. Lastly, a director could be disqualified under the Company Directors Disqualification Act 1986 (see question 18). The company’s officers and directors will not generally be personally liable for obligations of their corporations unless they have entered into personal guarantees. However, the company’s officers can be held to be personally liable to contribute to the company’s assets for any one of the following reasons: misfeasance or breach of any fiduciary or other duty; wrongful trading (see question 16); and fraudulent trading (see question 16). The company’s officers can also be criminally liable under sections 206 to 211 of the Insolvency Act for fraud, misconduct, falsification of the company’s books, material omissions from statements and false representations. They are also liable to disqualification from being a director of any company for up to 15 years under the Company Directors Disqualification Act 1986. The court can also make a compensation order where a director has been disqualified. A director can also be disqualified in Great Britain if he or she has been convicted of (among others) an offence in connection with the promotion, formation, management, liquidation or striking off of a company outside Great Britain. Lastly, environmental and health and safety legislation may provide for personal liability on directors and officers. When a company’s financial position has deteriorated to the point where its solvency is in question, the focus of the directors’ attention must shift away from the shareholders and towards protecting the interests of creditors. The Insolvency Act underscores this shift by exposing directors to the possibility of personal liability for wrongful trading (see question 16). The Companies Act 2006 also recognises this shift (in section 172(3) of the Companies Act 2006). Directors must consider the interests of creditors as a whole, and not just the interests of any individual creditor or class of creditors. A director is subject to these duties irrespective of whether they are an executive or non-executive director and even if appointed as a nominee of a particular creditor or shareholder. In a reorganisation outside a formal insolvency process, the directors retain their management powers and will be tasked with driving the restructuring. In a CVA, the directors remain in control with the assistance and supervision of the nominee and supervisor of the CVA. In a liquidation, the directors’ powers will cease unless (for a voluntary liquidation) the creditors’ committee and the creditors (in a creditors’ voluntary liquidation), or the shareholders in general meeting (in a members’ voluntary liquidation) or, in both cases, the liquidator, agrees otherwise. In administration, the directors’ powers to exercise any management function, or actions that interfere with the administrator’s powers, cease unless prior consent is given by the administrator. When a company is placed in compulsory liquidation, no action or proceeding may be started or proceeded with against the company or its property without the court’s permission (see question 9). Permission will be refused if the proposed action raises issues that could be dealt with more conveniently and less expensively in the liquidation proceedings. However, this will not restrict claims made by secured creditors in respect of secured assets. When a CVL or MVL is commenced, there is no automatic moratorium on proceedings against the company (see question 6). The liquidator or any creditor or shareholder may, however, apply to the court for a stay on any proceedings. Such a stay will not be granted automatically, but will usually be granted where proceedings were commenced after the shareholder resolution. The vast majority of reorganisations take place outside of formal insolvency proceedings. It will be up to the company and its creditors to negotiate a stay where required. This will be a purely contractual negotiation. If the restructuring is implemented by way of a scheme and if it has the support of the majority of creditors and so has a reasonable chance of success, the court has granted a temporary stay of proceedings against the company (FMS Wertmanagement AÖR v Vietnam Shipbuilding Industry Group & Ors  EWHC 1146 (Comm)). Recently, companies have also used a scheme to achieve a standstill period in which to progress a restructuring. These schemes did not implement the actual restructuring but simply provided the means to achieve a moratorium that was not obtainable without cram down of creditors (Metinvest (Re Metinvest BV  EWHC 79 (Ch)) and DTEK (Re DTEK Finance BV  EWHC 1164 (Ch)). no legal process (including legal proceedings, execution, distress and diligence) may be instituted or continued against the company or its property without the consent of the administrator or the court’s permission. This would include, for example, civil or criminal proceedings or other proceedings of a judicial or quasi-judicial nature. Broadly speaking, permission will be granted if to do so is unlikely to impede the achievement of the purpose of the administration. The court will engage in a balancing exercise, weighing the interests of the individual creditor seeking to lift the moratorium against the interests of the creditor body as a whole. As an alternative to going into administration, a small company (as defined by section 382 of the Companies Act 2006) may obtain the protection of a 28-day moratorium while it puts together a CVA (see question 7). Many of the features of this moratorium are similar to those that apply while a company is in administration. With creditor consent, the moratorium may be extended by up to two more months. A reorganisation can, and is typically, implemented outside of any formal insolvency or pre-insolvency procedure. If there is a reasonable prospect that the company will avoid going into insolvent liquidation or administration, the debtor can continue to carry on business during a reorganisation. If there is a consensual restructuring process, the creditors involved may require additional information about the company during this process and increased access to management. Other creditors, for example suppliers, may also change their terms of business to afford greater protection should the reorganisation fail and the company subsequently go into insolvent liquidation or administration. If no formal insolvency proceedings have commenced, creditors who continue to supply goods and services during the reorganisation process will not be subject to a particular statutory regime. Existing contractual arrangements continue to apply. A reorganisation could also be implemented via an administration of the debtor (or the debtor’s holding company), see also question 7. An administrator can carry on the business of the company where that is consistent with the purpose of the administration. To carry on the business, the administrator will pay creditors who supply goods or services to the company in administration in priority to ordinary unsecured creditors as expenses of the administration (otherwise the counterparty would not be likely to continue to trade). However, debts that had arisen prior to the insolvency will remain a provable debt and rank pari passu with other unsecured creditors. Certain types of supplies are protected by legislation and suppliers are prevented from terminating their supply (regardless of contractual termination rights) where the company is in an insolvency process and the office holder requests the continued supply. These include public utilities, such as gas and electricity as well as private suppliers of utilities, including supplies from a landlord to a tenant. In addition, communication services by a person whose business includes providing communication services as well as chip and pin machines, computer hardware and software IT assistance connected to IT use, data storage and processing and website hosting services are ‘protected supplies’ if the relevant contract was entered into on or after 1 October 2015. Typically, a debtor does not carry on business activities during a liquidation process - although this has happened recently in the high-profile compulsory liquidation case of Carillion. A liquidator and an administrator can raise, on the security of the company’s assets, any money required. Such credit would have priority over ordinary unsecured creditors as an expense of the insolvency but only in respect of the new funds. Liquidation and administration expenses are also paid out of floating charge realisations in priority to payments to the floating charge holder. However, in each case, any new loans and security will not take priority over pre-existing secured debt unless this is permitted under the terms of the pre-existing secured indebtedness and security documents. In an informal restructuring, or a restructuring implemented by way of a scheme or a CVA, the obtaining of credit and the use of assets as security is a matter for agreement between the company and its creditors and the type of restructuring process implemented. So, for example, security could be released as a consequence of a scheme of arrangement with the support of the requisite majority of creditors, but as a CVA is unable to bind secured creditors without their consent, this would not be possible in a CVA (unless the secured creditor agrees). In practice, many reorganisations result from negotiations with creditors outside of formal insolvency or restructuring procedures. Consequently, the terms of the reorganisation and any provisions as to the sale or use of assets are subject to negotiation between all parties and will be contractually documented. Once a company has entered liquidation, the liquidator can sell any of the company’s property by public auction or private contract, provided the assets are beneficially owned by the company (see question 2). A liquidator can sell assets that are subject to floating charge security as if the charge did not exist but will need the consent of the charge holder (or the court) in order to sell assets subject to fixed charge security. Where consent of the charge holder is obtained it will be a matter for negotiation as to whether the asset is sold free and clear of the security (with the liquidator accounting to the secured creditor for the purchase price) or whether the asset will be transferred subject to the security. If a reorganisation occurs in the context of an administration, the administrator can carry on the business of the company to sell its assets, including secured or leased assets, where the disposal would be likely to promote the purposes of the administration. Where the assets are leased, subject to a valid Retention of Title clause or are secured by a fixed charge, permission of the court is required before an administrator can sell the assets without the lessor’s or chargee’s consent. Where the entire business (or a line of business) is sold by the administrator, a tool called ‘pre-pack administration’ is often used. A pre-pack is in essence a sale of the business or assets of an insolvent company by an administrator where all the preparatory work for the sale (ie, identifying the purchaser, negotiating the terms of the sale and valuing the assets (potentially but not always via a marketing process)) takes place before the appointment of the administrator and the sale is then concluded immediately after his or her appointment. To ensure transparency in respect of pre-pack sales, the Joint Insolvency Committee published Statement of Insolvency Practice (SIP) 16. This gives guidelines to insolvency practitioners regarding disclosure in the context of pre-pack sales, and requires office holders to submit a SIP16 statement to creditors following any pre-pack undertaken. It is important that creditors are provided with a detailed explanation and justification of why a pre-packaged sale was undertaken and details of any marketing process and valuations obtained (or an explanation of why no marketing or valuations were undertaken), so that they can be satisfied that the administrator has acted with due regard for their interest. Where a sale is to a connected party, the potential purchaser is encouraged to submit details of the proposed acquisition to a ‘pre-pack pool’ (a panel of insolvency experts). The pre-pack pool is to provide an opinion on the sale. Although it is not a legal requirement to comply with SIP16, failure to comply could result in an administrator facing disciplinary action from his or her professional body. There is no specific legislation that either prevents or encourages the use of ‘stalking horse’ bids in sale procedures. How a particular sale process is carried out will be at the discretion of the directors or insolvency office holder (as applicable), but regard needs to be shown to the duties owed to creditors, and procedural guidance such as SIP16 (see question 24). Credit bidding (including where the credit bidder is the assignee of the original creditor) in sales is permitted, although there is also no specific legislation on this point. The sale will not necessarily be the subject matter of a court decision, indeed in most cases it will be up to the insolvency office holder to decide whether a particular deal is in the best interest of the creditors and so should be implemented. In a reorganisation outside a formal insolvency process, the debtor has no legal right to reject or disclaim an unfavourable contract. A liquidator may disclaim any onerous property. Onerous property is defined as any unprofitable contract, and any other company property that is unsaleable, is not readily saleable or is such that it may give rise to a liability to pay money or perform any other onerous act. Property is broadly defined and it includes money, goods, things in action, land and every description of property wherever situated and also obligations and every description of interest whether present or future or vested or contingent, arising out of, or incidental to, property. A contract may be unprofitable if it gives rise to prospective liabilities and imposes continuing financial obligations on the company that may be detrimental to the creditors. But a contract is not unprofitable merely because it is financially disadvantageous; it is the nature and cause of the disadvantage that will be the determining factor. A liquidator cannot disclaim a completed contract. In addition, there are various specific types of contract in relation to financial markets that the liquidator cannot disclaim. The liquidator is not entitled to use his or her power of disclaimer to disturb accrued rights and liabilities - the disclaimer only terminates the contract as to liabilities accruing after the time of the disclaimer. A liquidator can disclaim a contract by notice if it is unprofitable, or simply decline to procure its performance by the company. If the liquidator declines performance, then (in addition to other contractual remedies the counterparty may have) it can apply for rescission of the contract and claim for any damages that may be awarded. In either case, the contract comes to an end and the solvent party is left to prove damages for the loss resulting from the company’s breach of contract. A disclaimer operates so as to determine, as from the date of the disclaimer, the rights, interests and liabilities of the company, but does not affect the rights or liabilities of any other person except so far as is necessary for the purpose of releasing the company from any liability. A party aggrieved by a disclaimer can apply to the court to reverse the liquidator’s decision, but the court will not interfere unless the liquidator’s action was in bad faith or perverse. Any person suffering loss or damage in consequence of the operation of the disclaimer is deemed to be a creditor of the company and may prove for the loss or damage in the liquidation. If a liquidator does not disclaim a pre-insolvency contract (where, for example, disclaimer is not available) but then breaches the terms of the contract, the counterparty will be entitled to damages for breach, which will rank as a provable debt. An administrator does not ordinarily have the power to disclaim onerous property. The exception to this is that in certain special administration regimes, such as bank administration, an administrator can disclaim onerous property. As a matter of law, administration does not terminate contracts entered into by the company. Any termination provision must be expressly set out in the contract. In practice, the administrator may choose not to comply with contracts entered into by the company prior to administration. An administrator may, for example, decide that the return for creditors is higher if a particular contract is not complied with rather than if the contract continues to be complied with. This is a commercial decision where the administrator will consider his or her duties to the creditors as a whole. Where an administrator has breached a contract that existed prior to the insolvency, any damages for breach will rank as a provable debt. Where an administrator breaches a contract entered into by him or her after the insolvency, damages for breach will rank as an expense of the administration and will therefore have ‘super priority’ (ie, be paid ahead of holders of floating charge security and unsecured creditors). There is no automatic right of a licensor or owner of IP to terminate the debtor’s right to use IP assets. Such matters will be governed by the terms of the licence, for example, in particular in the event of default and termination provisions. Where the contractual provisions permit a termination, then this will be permitted under English insolvency law (unless the supply is a protected supply, in which case the supplier’s ability to terminate the contract or the supply will be severally restricted). An insolvency office holder does not have power to terminate a debtor’s agreement with an IP licensor or owner and then continue to use the IP for the benefit of the estate. When processing any personal data, a data controller is required to comply with the data protection principles set out in the General Data Protection Regulation 2016/679 (GDPR) which is supplemented by the Data Protection Act 2018 (the DPA) when processing any personal data. The first data protection principle is that personal data must be processed lawfully, fairly and in a transparent manner. If valuable customer data has been collected by the insolvent company, it is one of the assets that an insolvency office holder is able to realise for the benefit of creditors. The GDPR and the DPA will apply, and it is usual for an office holder to require a buyer of the data to comply with its obligations under the GDPR and the DPA and to provide an indemnity to the seller and the office holder against any liability for failure to have complied. This is often supported by an agreed form ‘fair processing’ notice that the buyer will be required to send to each customer to inform them that the buyer is now the controller and of any new purposes for which the customer’s personal data will be processed by the buyer. The GDPR expands the amount of information that must be provided in a fair processing notice. Guidance from the Information Commissioner’s Office takes the view that, in the case of insolvency, a customer database can potentially be sold without obtaining the customers’ prior consent. However, any use of the data by the buyer should be within the reasonable expectations of the individuals concerned, so its use post-sale should remain the same or similar to pre-sale. If the buyer wants to use the information for a new purpose, the buyer will need to get consent from each customer. A post-GDPR update to that guidance also states that if the customer database is ‘consented’, the original consent request must have named the buyer specifically, otherwise the buyer will not have a valid informed consent for the purposes of the GDPR. It is not clear whether this updated guidance applies to insolvency situations. In Re Southern Pacific Personal Loans  Ch 426 (decided under the pre-GDPR data protection regime), the English court held that liquidators are not controllers in their own right and are not personally responsible for the company’s compliance with the provisions of the DPA. The liquidators instead act as agents for the company in taking decisions on its behalf, though the court did not address whether liquidators may in some circumstances act as processors of the company. The GDPR introduces direct obligations on processors, including in relation to the security of personal data. When a company is in administration, the statutory moratorium will apply and will prevent any legal process from being initiated or continued (see question 21). Similarly, a moratorium is in place in a compulsory liquidation. The courts have held that arbitration is a legal process and therefore caught by the moratorium. Arbitration of disputes that arise post-administration would be subject to the same rules (see question 21) as regards whether the administrator or the courts would lift the moratorium to allow the arbitration to progress. However, where the office holder seeks directions from the court (ie, initiates litigation him or herself for example in relation to a set off right) the counterparty will be able to rely on the arbitration clause and force the office holder to arbitrate the claim instead of litigating. A secured creditor can potentially enforce his or her security outside of court proceedings by the appointment of a receiver or, in limited circumstances, an administrative receiver. A receiver is appointed over specified assets charged by way of a fixed charge. An administrative receiver is appointed where the secured creditor has a charge over the whole or substantially the whole of the company’s assets. Accordingly, an administrative receiver has wider powers to run the company, although his or her primary duty will be to the secured creditor (see question 9). The administrative receiver, although an agent of the company, is primarily concerned with the recovery of sufficient assets to pay out to the debenture holder. The almost inevitable consequence of the appointment of an administrative receiver is that the company will go into liquidation as all or nearly all its assets are likely to be realised to repay the secured creditor. A mortgagee may take physical possession of the property subject to the mortgage, and (where such property is not subject to consumer protection legislation) such possession does not require a court order. Similarly, pursuant to the Financial Collateral Arrangements (No. 2) Regulations 2003 (the FCA Regulations), the parties may agree that, should the security subject to the arrangement become enforceable, the collateral-taker has the right to appropriate (ie, become the absolute owner of the collateral). However, in certain circumstances, relief from forfeiture may be available (and the appropriation may be set aside). See question 31 for potential remedies for unsecured creditors. Certain creditors may have the benefit of a lien imposed by statute over the assets in their possession. A supplier of goods may protect him or herself by inserting a clause in the supply contract to the effect that title to the goods supplied will not pass to the buyer until payment has been received (known as a ‘retention of title’ or ROT clause). The contract can either provide for retention of title until the specific goods have been paid for or, more usually, until all monies outstanding from the debtor have been paid. Where the ROT clause is effective, the creditor is entitled to the return of goods. If none of the above remedies are available, then an unsecured creditor will need to commence proceedings against the debtor for debt recovery. If there is no substantive defence to the claim, the creditor can apply for summary judgment, which could take up to three months. If the debtor can show that he or she has a real prospect of successfully defending the claim, it could take much longer. In the meantime, if the creditor has evidence that the debtor is likely to dissipate his or her assets, he or she can apply to the court for an order that assets up to the amount claimed be frozen or prevented from being dealt with or dissipated. Once a judgment has been obtained, then enforcement proceedings can commence. Remedies include sending a court officer to seize the debtor’s goods or diverting an income source directly to a creditor (a third-party debt order). Creditors (including unsecured creditors) can also apply to the court for a winding-up order. Where a debt is genuinely disputed, the dispute should be resolved through the commercial courts. The courts have consistently held that a winding-up petition should not be used as a way to enforce a debt where there is a triable issue. Unsecured creditors are also able to apply to court for the appointment of an administrator. The Insolvency Rules set out much of the process relating to each insolvency process. Generally, the Insolvency Act provides for early notification of all creditors by advertisement of the appointment. The Insolvency Act further provides that creditors are provided with a report on the conclusion of the winding up (a ‘final report’). Administrators must seek a decision of creditors on proposals for the conduct of the administration of the company. The administrator is required to send a progress report to the creditors, the courts and the registrar of companies every six months. In a CVL, the directors must deliver a notice to creditors seeking their decision on the nomination of the liquidator by deemed consent or a virtual meeting. The decision date must be no earlier than three business days after the notice is delivered and no later than 14 days after the resolution is passed to wind up the company. A liquidator must also provide creditors with an annual progress report. In restructurings outside of a formal insolvency process, traditionally the lenders have formed coordinating committees. These usually consist of the largest, or the most influential, creditors. Any appointment is a matter of contract between the lenders and the company (who ordinarily meet the costs of their advisers). More recently, there has been a shift from establishing formal coordination committees to creating groups of ad hoc lender committees to drive a restructuring. In a formal insolvency process (such as administration and liquidation), creditors’ committees can be formed. A creditors’ committee usually consists of between three and five creditors that have been voted into the committee by the creditors. However, the role of the creditors’ committee varies, taking into account the different natures of these insolvency procedures. If a liquidation committee is appointed in either a CVL or a compulsory liquidation, its role is mainly supervisory and to fix the liquidator’s remuneration. The liquidator has to report to the liquidation committee on a regular basis. The role of a creditors’ committee in an administration is substantially the same as in liquidation. The creditors’ committee in an administrative receivership does not have a supervisory role. However, the administrative receiver must provide certain information to the creditors’ committee. Creditors’ committees appointed under the terms of the Insolvency Act are not permitted to retain advisers. A liquidator or administrator can assign certain causes of action (eg, an action for fraudulent or wrongful trading). The proceeds of the claim or assignment are not to be treated as part of the company’s net property, that is to say the amount of its property that would be available for the satisfaction of claims of holders of debentures secured by a floating charge created by the company. Further, a ‘victim’ of a transaction defrauding creditors may commence proceedings under section 423 of the Insolvency Act. Generally, unsecured creditors’ claims are not submitted until the company is in liquidation or administration. Court approval is required before an administrator can make a distribution to unsecured creditors (unless it is a distribution from the prescribed part). All creditors submit a claim by sending particulars of it to the liquidator (or administrator) by way of a ‘proof of debt’. A creditor may make a claim in respect of a contingent or unliquidated amount provided that it arises prior to the date on which the company went into administration or liquidation or it arises from an obligation to which the company may become subject after the insolvency by reason of any obligation incurred before the company entered liquidation or administration. Interest that accrued prior to the insolvency date can form part of the amount of the creditors’ provable debt. Time limits may be set for receipt and processing of claims before interim dividends are paid. If the creditor misses the deadline, he or she will be entitled to receive previous interim dividends (so as to ‘catch up’) once the claim has been proved. Once the office holder has realised all the company’s assets, he or she will give notice of intention to declare a final dividend. The liquidator (or administrator) may reject a proof in whole or in part but must provide reasons to the creditors. A creditor may appeal to the court against a rejection within 21 days of receiving notice of it. There are no specific provisions dealing with the purchase, sale or transfer of claims against the debtor and no prescribed forms for notifying the insolvency office holder of the trade. If a third party acquires a claim at a discount it will be able to prove for the face value of the claim (the discount is simply a matter between the creditor selling the claim and the acquirer). However, a creditor will not be able to circumvent the automatic and self-executing rules on insolvency set off once they are triggered. Therefore, where set off applies (see question 37), a party will only be able to sell its net balance. In large and complex insolvencies, the office holder may propose a protocol for notifying him or her of trades. Interest that accrued from the insolvency date can be claimed - but is highly subordinated. Once a company in liquidation or administration has paid all provable debts in full, the Insolvency Act provides that creditors with provable debts are eligible to receive interest on those debts for the period from the start of the insolvency process to the date the debt was paid. The current rate of statutory interest is either 8 per cent per annum or the interest rate applicable under the original contract, the greater amount prevailing. Prior to the commencement of a formal insolvency procedure or insolvency set-off becoming operative (whatever is the later), contractual rules on set-off and netting apply. These rules could be amended by agreement as part of an informal reorganisation. Insolvency set-off applies where there have been mutual dealings between a creditor and the company. The liquidator or administrator is required to take an account of what is due from each party to the other in respect of dealings and set off these sums. Once applicable, set-off is mandatory, automatic and self-executing. Insolvency set-off is triggered immediately upon the commencement of a liquidation but in administration it is only triggered once the administrator has given a notice of intention to make a distribution in administration. There are special provisions that apply to certain contracts in the financial markets. Pursuant to the terms of the FCA Regulations (see question 30), a close-out netting provision in a security document will apply even if the collateral provider or collateral taker is subject to winding-up proceedings or reorganisation measures, unless at the time the arrangement was entered into or the relevant financial obligations came into existence the other party was or should have been aware of such winding up or reorganisation. The court does not have general jurisdiction to change the priority of creditors’ claims, which are determined by statute. However, where realisations are made from assets subject to a floating charge, an insolvency office holder must set aside a percentage of such realisations (known as the prescribed part or ring-fenced fund, see question 38 below) for distribution to unsecured creditors who would otherwise have ranked in priority below the holder of the floating charge. 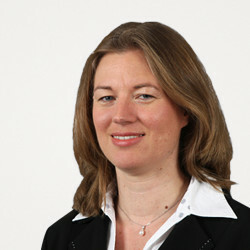 The court has held that it has no jurisdiction to either extinguish statutory rights or promote lower ranking creditors to a higher order in the statutory order of priority (see Re Nortel GmbH (Bloom v Pensions Regulator)  UKSC 52 and Re Lehman Brothers International (Europe) (in administration)  UKSC 38). An office holder will apply the proceeds of the realised assets and pay creditors in a specified order depending upon the source of the proceeds, that is, whether they come from fixed charge realisations, floating charge realisations or the realisations of uncharged assets. Other than the costs of preserving and realising the fixed charge assets (including the office holder’s costs relating to those assets), there are no priority claims that rank ahead of secured creditors with a fixed charge in relation to the proceeds of sale of those assets. Certain priority claims rank ahead of floating charge holders and these are paid out of the proceeds of sale of the assets secured by the floating charge. These priority claims are preferential debts and payments to unsecured creditors out of the ‘prescribed part’. Preferential debts are split into two categories: ordinary preferential debts and secondary preferential debts. Ordinary preferential debts include contributions to occupational and state pension schemes, certain employment-related claims (see question 39), European Union levies or surcharges for coal or steel production. They also include debts owed to the Financial Services Compensation Scheme (FSCS) and eligible deposits whose amount is protected under the FSCS. Secondary preferential debts consist of the part of deposits that are not eligible for FSCS protection either because they exceed the cover level or because they were made through a branch of an (otherwise) eligible credit institution located outside the EEA. Ordinary preferential debts rank equally among themselves before secondary preferential debts, which also rank equally among themselves. Debts due to the government (such as taxes) do not form part of the categories of preferential debts. The ‘prescribed part’ is an amount ring-fenced from the company’s net floating charge proceeds (up to a maximum of £600,000). This prescribed part is available to unsecured creditors. Case law has clarified that a floating charge holder cannot participate in the prescribed part as an unsecured creditor regarding any shortfall under its floating charge, as this would effectively deprive the unsecured creditors of a substantial part of their already capped benefit. The only way in which a secured creditor could participate in the prescribed part is by releasing its security. The costs and expenses of the liquidator or administrator are paid out of assets subject to a floating charge (so far as the assets of the company are insufficient), taking priority over the claims of the floating charge holder. Creditors who can establish valid retention of title and other proprietary claims (such as where they are beneficiaries under a trust) rank outside the order of insolvency claims and will, where possible and in accordance with certain legal rules, have their property (or its monetary equivalent) returned to the extent this is still possible. In a reorganisation taking place outside formal insolvency proceedings, the normal rules applicable to employment and the termination of employment contracts apply. In a compulsory liquidation, the historically accepted position has been that contracts of employment will automatically terminate with immediate effect on the date of publication of the court order. The precise rationale for this is not clear and it is not certain that a court would now follow the historically accepted position where, for example, the liquidator decides to trade the company in liquidation. Any termination of employment on a compulsory liquidation will usually involve a breach of contract by the company (as notice of termination will not have been given in accordance with the employment contract) - the employee will be able to claim for this non-payment of notice by means of a proof of debt in the liquidation. In a voluntary liquidation, the liquidation does not automatically terminate contracts of employment. But, because a liquidator only has limited powers to carry on the business of the company, it is likely that the liquidator will terminate the employment contracts shortly after appointment. Administration does not automatically terminate employment contracts. Following appointment, administrators have 14 days to decide whether the company should continue to employ individual employees. Failure to take positive action to dismiss will result in the automatic ‘adoption’ of employment contracts on the expiry of the 14-day period. ‘Adopted’ employees are then entitled to a priority for the payment of ‘qualifying liabilities’. ‘Qualifying liabilities’ are wages and salary arising out of the employment contract after the start of the administration include holiday pay, sick pay, payments in lieu of holiday and contributions to occupational pension schemes. Qualifying liabilities are administration expenses and therefore payable out of the assets of the company in priority to most other claims, including the administrator’s fees and expenses. certain unpaid remuneration amounts owed for the four-month period before the start of the insolvency proceedings, capped at £800 (see question 38). Any amounts in excess of £800 will rank as an unsecured debt in the insolvency, although the employee should be able to claim certain amounts from the National Insurance Fund. Where a company is in formal insolvency proceedings and the employment is terminated, the employee will be able to apply to the Insolvency Service to have certain debts paid out of the National Insurance Fund, including unpaid statutory notice pay, arrears of pay (up to a maximum of eight weeks), holiday pay (up to a maximum of six weeks), statutory redundancy pay (if the employee has two or more years’ service), and certain unpaid or deducted pension contributions. The statutory cap on a week’s pay applies to these payments (£508 for 2018/19). The employee will need to claim the balance of any amounts owed (if these are not ‘qualifying liabilities’ or preferential debts) by means of a proof of debt in the insolvency, ranking as an ordinary unsecured claim. Any payment from the National Insurance Fund extinguishes the employee’s claim against the company for that amount, with the secretary of state then having a subrogated claim for that amount in the insolvency. In a compulsory liquidation, if the contracts of employment terminate by operation of law on the date of the court order there should, in principle, be no claims for unfair dismissal. In a voluntary liquidation or an administration, an employee could potentially bring a claim for unfair dismissal if the liquidator or administrator fails to follow a fair process in relation to the dismissal (eg, because the selection process was flawed). The claim would, however, often be for procedural unfairness only, not substantive unfairness (as the dismissal should be by reason of redundancy and therefore substantively fair), which could result in limited compensation being awarded. The compensatory element of any unfair dismissal damages award would rank as an ordinary unsecured claim in the insolvency (the basic award is recoverable from the National Insurance Fund if the employee succeeds in his or her unfair dismissal claim in tribunal). When an insolvency office holder sells part or all of the business of an insolvent company, the Transfer of Undertakings (Protection of Employment) Regulations 2006 (TUPE) will determine which of the employees transfers automatically to the purchaser of the business and what liabilities transfer with them. The usual position under TUPE is that employees assigned to the target business transfer to the purchaser together with the liabilities under or in connection with their employment contracts (other than certain liabilities under occupational pension schemes). In an insolvency context, the position differs from this depending on the type of insolvency proceedings. For example, where the transferor is in administration, certain debts will not transfer but will be payable by the National Insurance Fund. In a liquidation, TUPE is significantly modified and employees will not transfer automatically to a purchaser. If an employee is dismissed who would have otherwise transferred to the purchaser, both the purchaser and the seller company (in administration) could potentially be liable for the resulting unfair or wrongful dismissal claims. In addition, on a TUPE transfer there is an obligation to inform and consult representatives of affected employees about the transfer. Failure to comply with this obligation can result in the Employment Tribunal making a ‘protective award’, of up to 13 weeks’ pay (uncapped) per employee. The purchaser and seller will bear joint and several liability for any failure to comply, but the administrator will typically seek an indemnity from the purchaser in respect of any consultation liabilities arising. If there is a proposal to dismiss 20 or more employees within a 90-day period at one establishment, collective redundancy consultation will be required with employee representatives and the secretary of state must be notified. This consultation must start at least 30 days before the first dismissal if 20-99 dismissals are proposed or 45 days before the first dismissal if 100 or more dismissals are proposed (notification to the secretary of state is required to be made within the same time frame). If the company fails to comply with these requirements then a ‘protective award’ can be made of up to 90 days’ pay (uncapped) per employee, unless a ‘special circumstances’ defence applies (but insolvency is not, of itself, a special circumstance). This protective award can qualify for preferential status (subject to the £800 cap) and may be payable (in part) by the National Insurance Fund. Failure to notify the secretary of state is a criminal offence with an unlimited fine (which can also apply to a director or insolvency practitioner in default). Certain limited unpaid contributions into occupational pension schemes and contributions deducted from the employee’s pay are categorised as preferential debts and will rank ahead of floating charge holders in the event of a company’s insolvency (see question 38). Where there is an occupational pension scheme and the employer company enters a formal insolvency process (eg, liquidation, administration or administrative receivership) and there is a deficiency in the scheme (calculating the cost of benefits based on an estimate of the cost of buying-out equivalent benefits with an insurance company), then a section 75 debt (named after section 75 of the Pensions Act 1995) is triggered and deemed to arise immediately prior to the employer’s insolvency. The section 75 debt is designed to provide a simple debt obligation on an employer and ranks as an ordinary unsecured debt in the employer’s insolvency. If an administrator adopts any employment contracts (see question 39 above), liabilities under those contracts incurred after adoption will be paid as an administration expense. Such liabilities can include contributions to occupational pension schemes (but these will probably be frozen by the insolvency) and (probably) to personal pensions. The statutory Pension Protection Fund provides compensation for defined benefit occupational pension scheme members on an employer’s insolvency. The Pensions Regulator has ‘moral hazard’ or ‘anti-avoidance’ powers to make third parties liable to provide support or funding to a defined benefit occupational pension scheme in certain circumstances. The Pensions Regulator has statutory powers under the Pensions Act 2004 to be able, if it considers it to be reasonable, to issue a contribution notice to an employer, or a person ‘associated’ or ‘connected’ with an employer. If within a relevant period, transactions or reorganisations are structured with the main purpose of avoiding or reducing pension liabilities or result in an act or failure to act that has in the Pensions Regulator’s opinion, detrimentally affected in a material way the likelihood of accrued scheme benefits being received, then (in either case) those involved (including those knowingly assisting) are potentially at risk of being required to make a contribution into the scheme of an amount up to the section 75 debt that would otherwise have been payable. The Pensions Regulator can also, if it considers it to be reasonable, issue a financial support direction (FSD), which requires a party to put in place financial support (broadly, funding or guarantees) and maintain the financial support throughout the life of the scheme. FSDs may be issued against the participating employers or certain parties that are ‘connected’ or ‘associated’ with an employer. A party might be at risk of an FSD if the employer participating in the scheme was a service company (ie, a company with accounts showing its turnover principally derived from providing services to other group companies) or ‘insufficiently resourced’ (did not have sufficient assets to meet 50 per cent of the section 75 debt in relation to the scheme, and at that time there was a connected or associated person who did have sufficient resources to make up the difference). The rules governing who can be associated or connected with an employer are very complex, but generally all wholly owned companies in a group are associated, and significant shareholders (over one-third) will have control and so be associated with the company and its subsidiaries. In Re Nortel GmbH (Bloom v Pensions Regulator)  UKSC 52 the Supreme Court held that an FSD issued against a company that is already in administration was a provable debt (and not an expense of the administration) as essentially, the relevant facts making the company susceptible to becoming the target of such direction had arisen prior to the insolvency and provable debt status was thus consistent with the underlying regime imposing the liability. the water pollution regime (also contained principally in the Environmental Permitting (England and Wales) Regulations 2010: regulations 38(1) and 12(1)). A company’s environmental liabilities (including health and safety related liabilities) will continue regardless of whether the company is solvent or in an insolvency process. A debtor’s officers and directors can potentially be liable under environmental legislation that governs the respective debtor’s business (for example, where the commission of a pollution related offence by the company occurs with the consent or connivance or is attributable to any neglect on the part of such persons). Depending on the legislation, liability can attach to the debtor company and to directors and officers personally. Ordinarily, an insolvency office holder should not incur liability for offences or torts committed by the debtor prior to the insolvency and any fines, etc, issued prior to the insolvency would rank as an unsecured debt. Following the insolvency, the office holder will be acting in a management role similar to that of directors and will be subject to the duties (and potential liabilities) that go with that role. One potential risk for an office holder is to be required to clean up contaminated land. Should fines or clean-up costs be imposed when a company is in insolvency, such costs may still rank as a provable debt (if they can be attributed to steps taken prior to the insolvency). Alternatively, such costs could rank as expenses of the insolvency if they are attributable to something done during the period after insolvency. This will be a matter of fact in each case. Whether an insolvency office holder would be held personally responsible will depend on the particular statute under which the offence is committed and the office holder’s conduct. For example, the Environmental Protection Act 1990, dealing with contaminated land, includes a specific protection for insolvency office holders and specifies that no personal liability will attach to them for remedial costs unless a substance was present on the contaminated land as a result of any act done or omission made by the office holder that it was unreasonable for a person acting in that capacity to do or make. This exclusion is, however, not set out as regards other forms of liability (not in relation to contaminated land) where office holders could therefore in theory still be at risk of personal liability. A liquidator can disclaim onerous property (see question 26) and will be able to disclaim contaminated land and therefore avoid liability following the disclaimer becoming effective. A secured creditor could potentially become liable for environmental contamination if it enforces a mortgage and becomes a mortgagee in possession. Under environmental legislation, a mortgagee in possession is an ‘owner’ and therefore liability could attach. In relation to an unsecured creditor, it is difficult to see how he or she could become liable (unless he or she acts in a different capacity to that of unsecured creditor). A third party may incur environmental liabilities where, for example, it caused the environmental damage following the principle that the polluter pays. Where a debtor uses a CVA or a scheme to reorganise, the terms of the CVA or scheme will determine the treatment of the debtor’s liabilities (eg, the extent to which they are compromised and the extent to which they will survive). Where a purchaser buys the assets from an insolvent debtor, liabilities remain with the debtor, apart from certain employment liabilities that may transfer to the purchaser in accordance with TUPE (see question 39). In liquidations, a distribution will be made when sufficient funds are available to justify it. An administrator can also make distributions to preferential, secured and unsecured creditors (but only with the permission of the court in the case of unsecured creditors unless it is a distribution of the prescribed part). Distributions can be made on an interim and a final basis. In the case of a reorganisation, the terms of any distribution will usually be set out in the restructuring plan, the scheme or in the CVA proposals. The principal type of security granted over immovable property is the legal mortgage. This is a transfer of the whole of the debtor’s legal ownership in the property subject to the security. It is subject to the debtor’s right to redeem the legal title upon repayment of the debt (known as the equity of redemption). The appearance of ownership remains with the debtor, although the legal mortgage affects an absolute transfer subject to the right of redemption. An alternative is the equitable mortgage, which creates a charge on the property but does not convey any legal estate or interest to the creditor. It can be created by a written agreement to execute a legal mortgage, by a mortgage of an equitable interest or by a mortgage that fails to comply with the formalities for a legal mortgage. Another alternative is the fixed charge. This involves no transfer of ownership but gives the creditor the right to have the designated property sold and the proceeds applied to discharge the debt. A fixed charge attaches to the property in question immediately on creation (or, if acquired later, after creation but immediately on the debtor acquiring the rights over the property to be charged). The debtor may then only dispose of the property once the debt has been repaid or with the consent of the creditor. The principal types of security relating to moveable property are mortgages and fixed charges, floating charges, pledges and liens. A floating charge does not attach to a specific asset but is created over a class of assets, present or future, and allows the debtor to buy and sell such assets while the charge remains floating. Floating charges are generally created over the whole business and undertaking of a company. It is only on the happening of a certain event, such as default on the repayment of the debt, that the charge attaches to the secured assets that are at that time owned by the debtor. This is called ‘crystallisation’. On crystallisation, the charge acts like a fixed charge in that the debtor is no longer free to sell the assets without repayment of the debt or without the consent of the creditor. A pledge is a form of security that gives the creditor a possessory right to the pledged asset. It is usually created by delivering the asset to the creditor, although symbolic or constructive delivery may be sufficient. A lien is a possessory right of a creditor to retain possession of a debtor’s asset until the debt has been repaid. It can be created by contract or by operation of law. The creditor has no right to deal with the asset and the lien is usually extinguished once the asset is returned to the debtor. The FCA Regulations (see question 30) are intended to give effect in England and Wales to the European Union Directive 2002/47/EC on financial collateral arrangements (the FCA Directive) in order to create a simple, effective legal framework for the use of securities (financial instruments) and cash as collateral by title transfer or pledge, removing burdensome formalities of execution, registration and enforcement. They also disapply certain provisions of the Insolvency Act. The FCA Regulations only apply to security over cash (including claims for repayment of money), credit claims (loans made available by credit institutions), financial instruments and shares. The FCA Regulations apply to arrangements made on or after 26 December 2003. The FCA Directive provides that the security provider and taker must be a public authority, a central bank or other international bank, financial institution or central counterparty, settlement agent, clearing house or similar institution. The FCA Regulations do not contain this element. This has led to doubts about whether the FCA Regulations were validly made under the European Communities Act 1972 (see The United States of America v Nolan  UKSC 63). There are two main types of transaction that may be set aside by a liquidator or administrator under the Insolvency Act. These are transactions at an undervalue (section 238) and preferences (section 239). A transaction at an undervalue is a transaction entered into for no consideration or for consideration that is significantly less than the consideration provided by the company. A liquidator or administrator can apply to the court for an order restoring the position to that which it would have been in the absence of such a transaction. It is a defence to a claim if the company entered into the transaction in good faith for the purpose of carrying on the business of the company, and there were reasonable grounds for believing that the transaction would benefit the company. A company grants a preference where it does something, or allows something to be done, that puts a creditor, surety or guarantor in a better position than it would otherwise have been in if the company went into insolvent liquidation. The court will, however, only make an order restoring the position to what it would have been if the company was influenced by a desire to put that other person in that better position. This desire to prefer is presumed where the parties are ‘connected’ (as defined in the Insolvency Act). The court will not make any order unless, at the time of entering into the transaction at an undervalue or making the preference, the company was unable to pay its debts, or became unable to pay its debts as a consequence of the transaction. Insolvency is, however, presumed in the case of a transaction at an undervalue entered into with a connected person. In addition to transactions at an undervalue and preferences, certain floating charges will also be invalid under section 245 of the Insolvency Act, except to the extent of any valuable consideration (being money, goods or services supplied; or a discharge or reduction of any debt or interest). No application to court is required. Separately, an administrator or a liquidator may apply to the court to set aside an extortionate credit transaction. Further, a liquidator, administrator or a ‘victim’ of the transaction, may challenge any transaction that is entered into at an undervalue where the purpose of making the transaction was to put assets beyond the reach of a person who is making or may make a claim against the company (section 423 of the Insolvency Act). In a compulsory liquidation, any disposition of the company’s property and any transfer of shares made after the commencement of the winding up is, unless the court orders otherwise, void (see question 9). Note further that where directors have made a distribution to shareholders that is unlawful under the companies legislation, any shareholder who knows or has reasonable grounds to believe that a distribution contravenes the statutory rules will be liable to repay it. Under English law, there are no specific legislative provisions that allow for transactions to be annulled as a result of a reorganisation (unless such reorganisation utilises an administration process). There are no equitable subordination rules in English insolvency law. The rules for distribution of an insolvent estate are set out in the Insolvency Act and Insolvency Rules, and shareholders are last in the order of distribution in respect of their share capital, after secured and unsecured creditors have been satisfied in full. Related parties or non-arm’s length creditors will rank pari passu with the remainder of the unsecured creditors unless they have security, in which case they will rank in accordance with the security ranking. The recent case of Re Lehman Brothers International (Europe) (the administration)  UKSC 38 dealt with complex questions of priorities and contractual subordination, Lehman Brothers being in the unusual position of having surplus funds. In principle, each corporate entity has its own existence and the corporate veil will only be rarely pierced so the circumstances where a parent or affiliated company could be liable for its subsidiaries or affiliates are few. There are certain, limited, exceptions to this principle, for example as relates the powers of the UK Pensions Regulator (see question 40) or in relation to certain environmental, health and safety or anti-trust matters. A parent company can be held liable for the acts of a subsidiary pursuant to the law of agency; however, there is no presumption that a subsidiary is the agent of the parent company. In very limited circumstances the English courts will permit the piercing of the corporate veil to allow action to be taken against those who control a company. A parent company may also be liable for the acts of its subsidiaries under the torts of conspiracy and negligence. In particular, there can be a primary, direct duty of care on a parent company to employees (and potentially others) affected by the activities of a subsidiary under the tort of negligence. A parent could also be held liable if it is considered a person instructing an unfit director - this could be the case where the parent is taken to have exercised the requisite amount of influence over a director who, as a result of acting on the parent’s directions or instructions, got disqualified under the Company Directors Disqualification Act 1986. A parent company could be held liable for fraudulent trading or, if it has acted as a shadow director, for wrongful trading under sections 213 and 214 of the Insolvency Act respectively. The concept of distributing a group company’s assets pro rata without regard to the specific corporate entities infringes the fundamental concept that each company has its own legal entity and that creditors are creditors of the respective company with which they have contracted, and not creditors of a group. This fundamental concept will only be lifted in cases of fraud or where there is a deliberate intention to put assets beyond the reach of creditors. English law treats each member of a corporate group as a distinct entity from any of its members, other than in very specific and rare circumstances. Accordingly, unless there are very exceptional circumstances, the assets and liabilities of companies are not combined into one pool for distribution in an insolvency process. The case of Re Bank of Credit and Commerce International SA (No. 3)  B.C.L.C. 1490 is an example of such a rare situation where it was held that the assets and liabilities of the different companies in a group were so intermingled that it was impracticable to separate them. As a practical matter, where there is a corporate group, there may be administrative advantages to having the same insolvency office holder appointed in respect of each of the companies in the group (subject to any conflicts) but each entity will still be treated as separate. For further details on the concept of the group coordinator under the EU Insolvency Regulation (as defined below) please refer to the chapter on the European Union. There are a number of tools available to obtain recognition of a judgment: the EU Regulation on Insolvency Proceedings Recast (2015/848) (the EU Insolvency Regulation); the common law; and the Brussels Regulation Recast (1215/2012). In addition, regard should be shown to the Civil Procedure Rules and the different tools available to litigators in England to enforce a foreign judgment (such as the Foreign Judgments (Reciprocal Enforcement) Act 1933). Under the EU Insolvency Regulation, judgments that concern the course and closure of insolvency proceedings and compositions approved by that court shall be recognised without further formalities. Automatic recognition is also available for judgments that derive directly from the insolvency proceedings and that are closely linked to them (even if they are handed down by another court). See further the chapter on the European Union. The common law rule that judgments in personam are recognised only where a defendant is present in the foreign jurisdiction when proceedings are initiated, is a claimant or counterclaimant in the proceedings or has submitted to the jurisdiction of the foreign court also applies in an insolvency context (see Rubin and another v Eurofinance SA and New Cap Reinsurance Corporation (in liquidation) and another v Grant and others  UKSC 46). The Brussels Regulation Recast (1215/2012) on the jurisdiction and the recognition and enforcement of judgments in civil and commercial matters applies to litigation commenced on or after 10 January 2015, and judgments given in proceedings commenced on or after 10 January 2015. The Brussels Regulation Recast provides rules for the recognition and enforcement of foreign judgments of contracting states. The Brussels Regulation recast does not apply to bankruptcy proceedings relating to the winding up of insolvent companies or other legal persons, judicial arrangements, compositions and analogous proceedings. The English courts have not conclusively decided whether the Brussels Regulation recast applies to schemes of arrangements under the Companies Act 2006 but currently proceed in judgments on the assumption that it does. The UK is party to the EU Insolvency Regulation (see question 50) and has adopted the UNCITRAL Model Law on Cross-Border Insolvency. The Cross-Border Insolvency Regulations (CBIR) implemented the UNCITRAL Model Law on Cross-Border Insolvency in Great Britain (ie, excluding Northern Ireland). The CBIR entitle a foreign insolvency representative to apply directly to the British courts to commence British insolvency proceedings, to participate in British insolvency proceedings, and to seek recognition and relief for foreign insolvency proceedings. Foreign proceedings will be recognised as ‘foreign main proceedings’ where insolvency proceedings have been opened in the jurisdiction where the debtor’s COMI is located. As in the EU Insolvency Regulation there is a rebuttable presumption that a debtor’s COMI is in the place of its incorporation. If insolvency proceedings have been opened in a jurisdiction where the debtor has an establishment, only the insolvency proceedings will be designated ‘foreign non-main proceedings’. Relief is automatic in the case of recognition as a foreign main proceeding and includes an automatic stay and discretionary in the case of a foreign non-main proceeding. To the extent there is a conflict between a provision in the EU Insolvency Regulation and a provision in the CBIR, the relevant provision of the EU Insolvency Regulation will prevail. Foreign creditors will be able to provide evidence of their claims in an English liquidation in the normal way. However, if there is a concurrent liquidation of the same company in the foreign jurisdiction, then a creditor proving its claim in England will only be entitled to share in any distribution once any amount received in the foreign proceedings have been taken into account. Foreign currency debts are converted into sterling under mandatory provisions of the Insolvency Act and the Insolvency Rules. Assets would only properly transfer to an insolvency proceeding in another country where the office holder determined that the assets were not in fact assets of the company. In this case, the entity rightfully entitled to the assets would be entitled to claim these. Given the office holder’s duty to ensure the best return to creditors, he or she would not consent to the transfer of such assets without incontrovertible evidence that this was the case or there was a sale of the assets for value. The EU Insolvency Regulation provides that main insolvency proceedings are to be opened in the member state in which that company has its COMI. There is a rebuttable presumption that a company’s COMI is where its registered office is located - unless the debtor has moved its registered office in the three months preceding the application to open main proceedings - a new qualification introduced by the EU Insolvency Regulation recast to prevent abusive forum shopping. In the case of Interedil (Interedil Srl v Fallimento Interedil Srl and Intese Gestione Crediti SpA (C-396/09)) the European Court of Justice (ECJ) confirmed that COMI must be interpreted in a uniform way by EU member states and by reference to EU law and not national laws. Therefore, the English courts will be bound to interpret COMI in a way that is consistent with the interpretation given by the ECJ. The EU Insolvency Regulation further codified existing case law on the interpretation of COMI, for example, the recitals to the EU Insolvency Regulation now specifically refer to the fact that ‘When determining whether the centre of the debtor’s main interests is ascertainable by third parties, special consideration should be given to the creditors and to their perception as to where a debtor conducts the administration of its interests’ (see Recital 28). Factors that have been held to be relevant to determine a debtor’s COMI (in addition to the rebuttable registered office presumption) are: location of internal accounting functions and treasury management, governing law of main contracts and location of business relations with clients, location of lenders and location of restructuring negotiations with creditors, location of human resources functions and employees as well as location of purchasing and contract pricing and strategic business control, location of IT systems, domicile of directors, location of board meetings and general supervision. The relevant date to determine a company’s COMI is the date when the request to open the proceedings is made (Re Staubitz-Scheiber (C-1/04) and Interedil (see above)). COMI is determined on an entity-by-entity basis. However, in Re Nortel Networks  the English courts made administration orders over a number of companies in the Nortel group finding that each company’s COMI was in fact in England. The Model Law, as applied in the United Kingdom by virtue of the CBIR (see above at question 51) also uses the concept of COMI. The Model Law does not define COMI but notes that the concept derives from the EU Insolvency Regulation. In Re Stanford International Bank Ltd (in liquidation)  EWCA Civ 137 the Court of Appeal held that there was nothing in the Model Law or the EU Insolvency Regulation that required a different meaning to be given to COMI in both of the regimes. Indeed, it was essential that they should be interpreted consistently. Where there was a difference in the US courts’ interpretation of COMI for the purposes of the Model Law, the English courts would follow the interpretation dictated by the EU Insolvency Regulation. There are various tools available to a foreign office holder to obtain recognition of foreign insolvency proceedings in England, depending on the circumstances of the foreign proceeding. Under the EU Insolvency Regulation (see question 54), the CBIR (see question 51), under the common law and under section 426 of the Insolvency Act. The latter allows a ‘relevant country or territory’ (the Channel Islands, the Isle of Man or any country or territory designated by the Secretary of State - mostly Commonwealth countries but with certain notable exceptions, such as India) to apply to the English courts for assistance. The assistance is wide-ranging and can include the making of an administration order. Courts have, however, also refused to recognise foreign proceedings, for example, in Re Stanford International Bank Ltd (in liquidation)  EWCA Civ 137, the Court of Appeal refused to recognise a US receiver on the basis of its consideration of where the company had its COMI (using an interpretation of COMI that was consistent with its interpretation under the EU Insolvency Regulation). Instead, the court recognised the appointment of an Antiguan liquidator as foreign main proceedings. While not directly relevant to the laws of England and Wales, the Privy Council held (in a case on appeal from Bermuda) in the case of Singularis Holdings Ltd v PricewaterhouseCoopers (Bermuda)  UKPC 36 that while there was a common law power to cooperate and assist a foreign liquidator in his or her conduct of insolvency proceedings in a different jurisdiction, such power does not extend to providing a liquidator with a power that he or she did not have in his home jurisdiction. The English courts have in recent years tended to row back from an earlier tendency to grant cooperation and relief based on the common law (see the case of Rubin, referred to in question 50), even where this could not be founded on specific legislation (such as section 426 or the CBIR). The court also recently held that it does not have jurisdiction under the CBIR to grant a permanent stay on legal enforcement in respect of English law debt owed by a foreign company. This would infringe the common law rule in Anthony Gibbs (1890) 25 QBD 399 which stipulates that English law governed legal obligations can only be discharged under English law (unless the creditor agrees otherwise) (see Bakshiyeva v Sberbank (2018) EWTIC 59 (Ch)). Insolvency protocols have been used in cross-border insolvencies between the United Kingdom and the United States to harmonise proceedings between the two countries, for example in 1991 in the Maxwell Communications Corporation case. In the Lehman Brothers case, it was clear that because of the volume and size of the claims involved, and the international dimension of the business, international cooperation would be of paramount importance. In 2009, Lehman Brothers administrators in several jurisdictions signed a protocol that focused on cooperation and exchange of information. Crucially, the English administrators did not sign the protocol. In a report to creditors, the English administrators said it was not in the best interests of the English Lehman Brothers entity to ‘be party to or bound by such a broad arrangement’. Under the EU Insolvency Regulation the use of protocols is specifically sanctioned so it remains to be seen whether such formal legislative blessing of the concept will result in more protocols being implemented (for more detail please refer to the European Union chapter). On 23 June 2016 the UK held a referendum on its membership of the European Union. The majority of people voted for the UK to leave the EU. The UK and EU are currently negotiating the terms of the withdrawal agreement, which contains provisions for the UK’s withdrawal from the EU. the creation of a new restructuring plan that will include the ability to enforce a cross-class cram down. The government has also announced that it will enact measures to ensure that directors of holding companies will need to consider whether a distressed subsidiary’s stakeholders would be better off in an insolvency proceeding rather than by a sale of the business. The UK government wishes to take the reform forward as soon as parliamentary time permits.